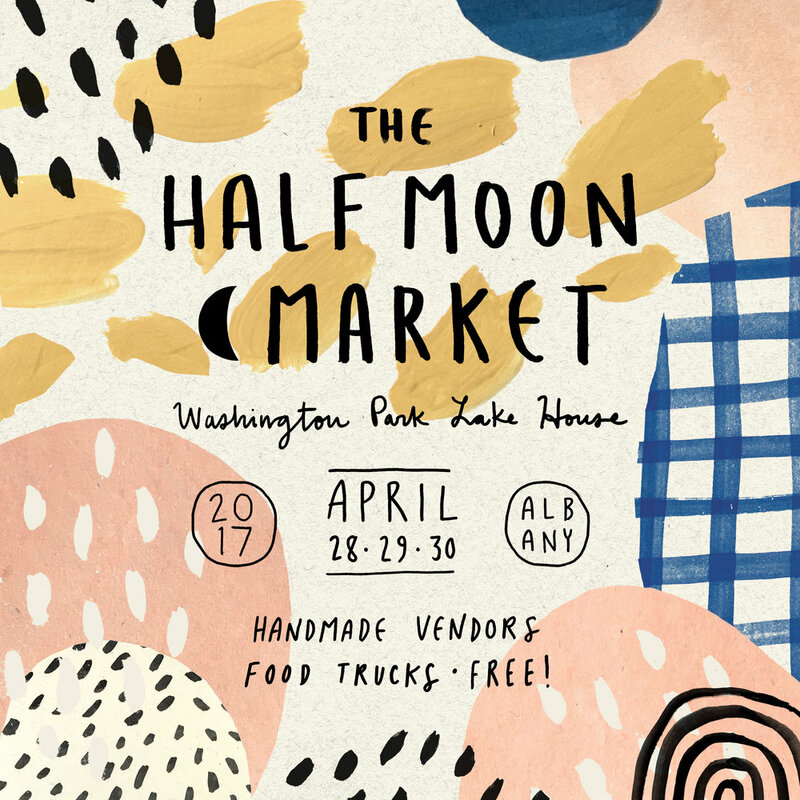 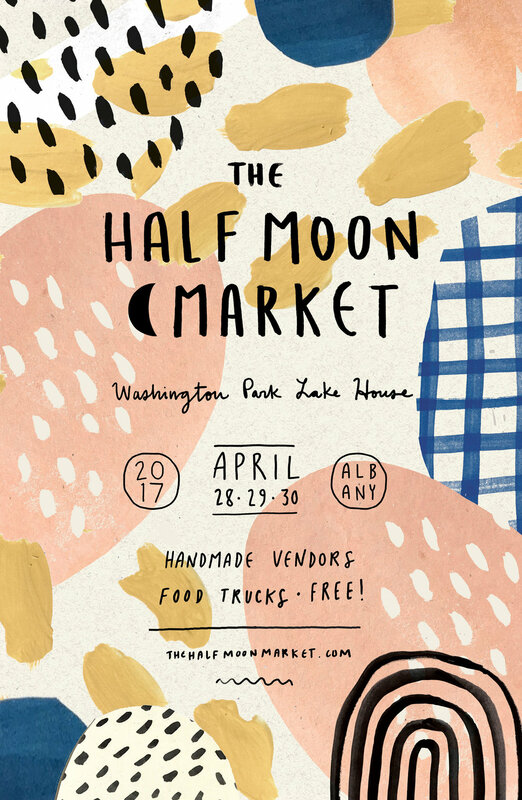 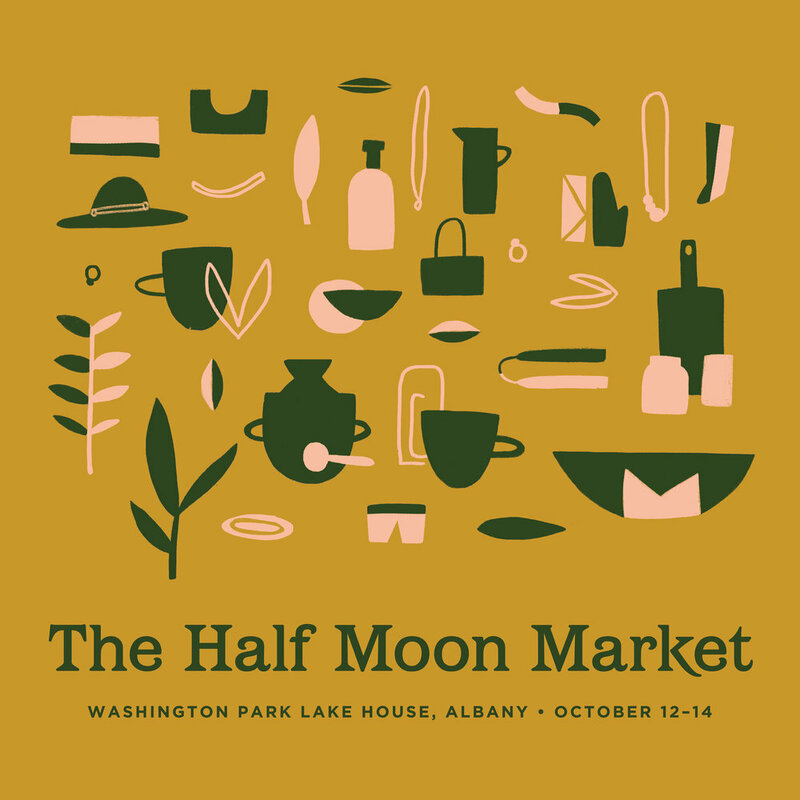 The Half Moon Market is a two-day indie craft fair held twice per year in Albany's Washington Park Lake House. 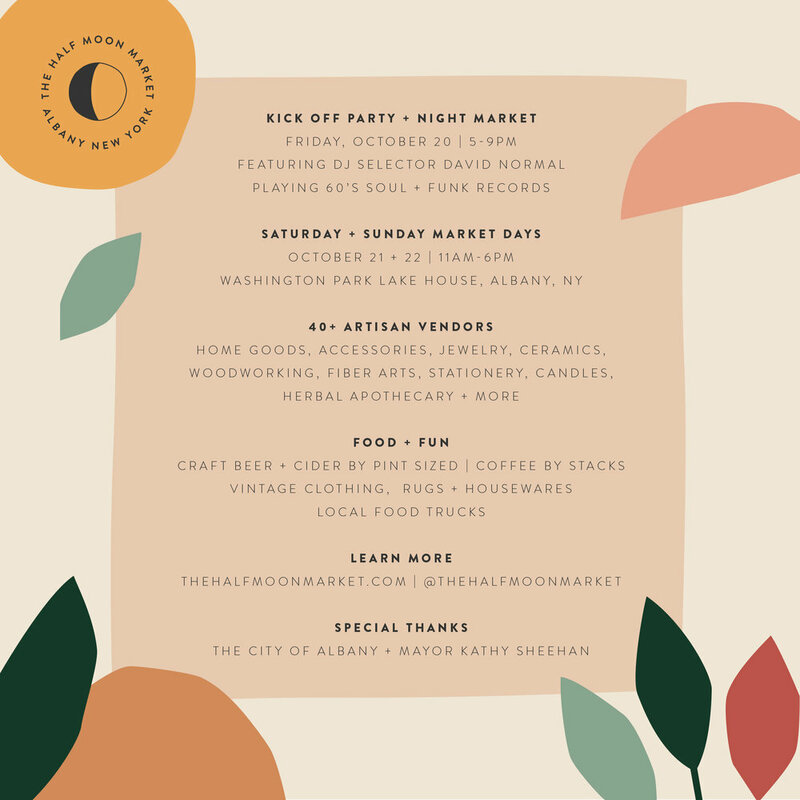 I am a co-organizer of this event along with my friend Adelia Sugarman of Owlkill Studio and work primarily on marketing materials to promote the event. 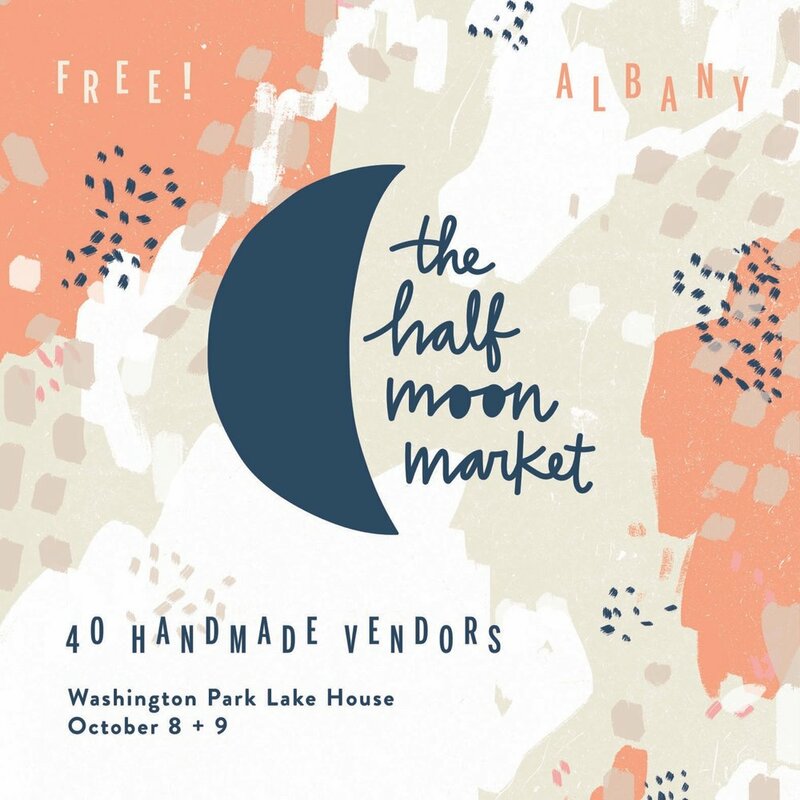 I create a variety of collateral including custom screen printed tote bags, programs, postcards, our website and more. 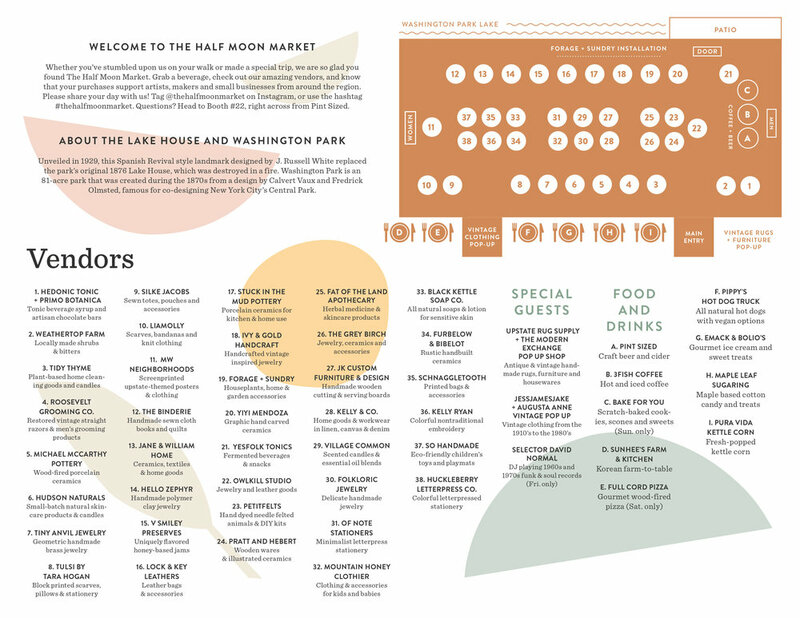 We like to change the look and feel of the market each season to keep things fresh, to reflect the handmade and hands-on nature of the event.